Membership in the Vietnam Veterans of America is open to U.S. Armed Forces Veterans who served on active duty (for other than training purposes) in the Republic of South Vietnam between February 28, 1961 and May 7, 1975 or in any active duty location between August 5, 1964 and May 7, 1975, in what constitutes the "Vietnam Era". 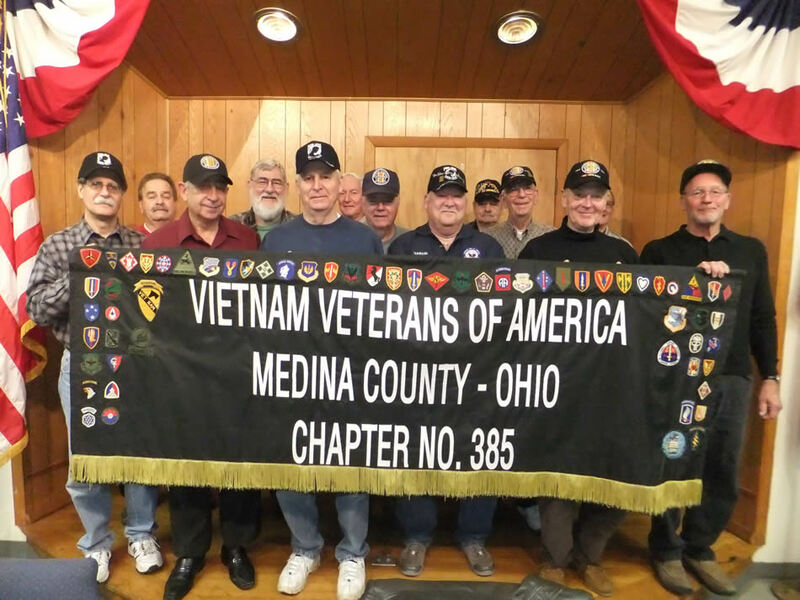 Medina County VVA Chapter 385 hosts activities for the Vietnam Veterans of Medina County. One of its main responsibilities is to maintain the Medina County Vietnam Memorial located at 246 Northland Drive (Medina), adjacent to the Medina County Veterans Services Office. The memorial is dedicated to the thirty-three Medina County citizens who lost their lives in the Vietnam War. Click on image on the left for a larger view. Citizens are encouraged to visit the Memorial on Memorial Day after the Medina City parade and cemetery services are conducted. A short service is conducted each Memorial Day at 1:15PM. Chapter 385 gathers throughout the year for camaraderie and fellowship. VVA Chapter 385 meets at 7:00PM on the first Wednesday of each month (no meeting in July). For more information contact Chapter President Rick Pethtel, 330-421-07917 or e-mail at: par6@zoominternet.net.